LinkedIn isn’t just a social platform for posting resumes. It’s also an effective tool for growing your real estate business. If you’re on LinkedIn currently but aren’t using it to its maximum potential, or if you’ve considered using LinkedIn but felt intimidated or confused about how to use it correctly, this is your guide. Most people think of LinkedIn as Facebook for professionals, but it’s much more than just that. It’s a tool for finding new leads and building a network with fellow real estate professionals. Unlike other social media platforms (Facebook included), the whole point of being on LinkedIn is to generate leads and grow your business. Everyone on LinkedIn is there to make professional connections. You won’t have to contend with cat videos, passive aggressive posts, and the endless slideshow of selfies as you would on other sites. On LinkedIn, it’s okay to self-promote for professional purposes. In fact, you’re encouraged to do so. You can use LinkedIn to become an authority in your specific real estate niche. Build a name for yourself by publishing content that’s relevant to your target audience. You can also do the same by linking to valuable content (published by others). LinkedIn allows you to craft your unique brand image and build trust with others. Let’s get into the nuts and bolts of building an effective LinkedIn profile. Your photo is one of the first indicators of trust that you can add to your LinkedIn profile. A professional photo can add to your credibility, but it also brings in the human component that’s so needed in a social platform. Your LinkedIn profile photo should be in the shape of a square. Your profile photo should be at least 400 x 400 pixels, but it’s okay to choose a larger size (up to 8MB) as long as it’s quare. In fact, the higher your resolution, the better quality image you’ll have to represent you on LinkedIn. Choose a photo of you, not your logo, for your LinkedIn profile. It’s hard to connect with a logo. Also, choose an image with a clear shot of your face, not you from a distance, or you among a group of others. The profile photo isn’t the only photo to consider for your LinkedIn page. You should also take advantage of the cover image. On LinkedIn, the cover image is one of the first things that your connections will see. It makes sense to populate this cover image with information that’s highly relevant to your audience. Take advantage of this and start your profile off with the URL right away. If you have a fairly common name that’s already taken, you can still create a custom URL. Consider adding Realtor or Real-Estate to the end of your name. Your headline is another crucial piece of real estate on your LinkedIn profile (pardon the pun). Use your headline to summarize your greatest asset or skill. The keywords that you use in this headline will help pull in prospective clients. Remember to use your headline for making connections with prospective clients, not with colleagues. The experience section in LinkedIn is your time to shine, but remember your intended audience. 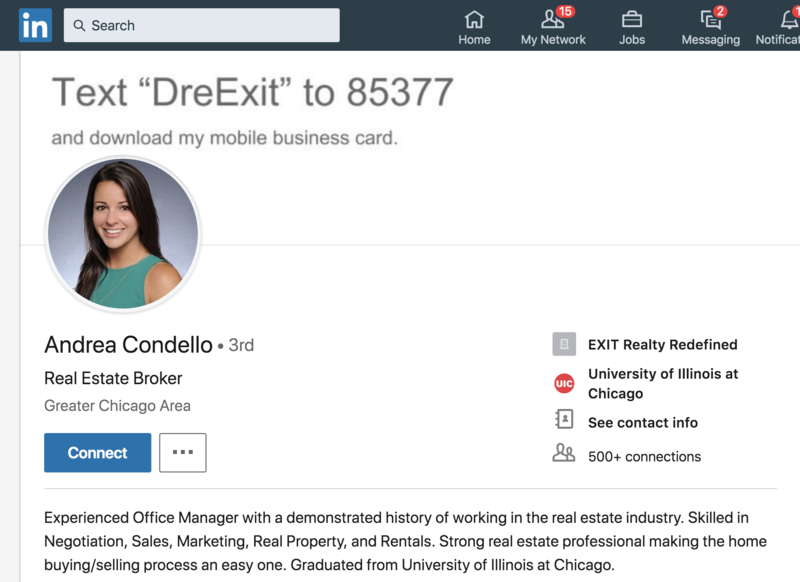 As a real estate agent, your objective on LinkedIn isn’t to get a job with an employer. Rather, your goal is to build a connection with prospective leads based on trust. And the easiest way to get people to trust you is to show that you have a proven track record. Prospective clients aren’t interested in reading a list of where you worked in the past. Instead, they’re focused on how you can help them. 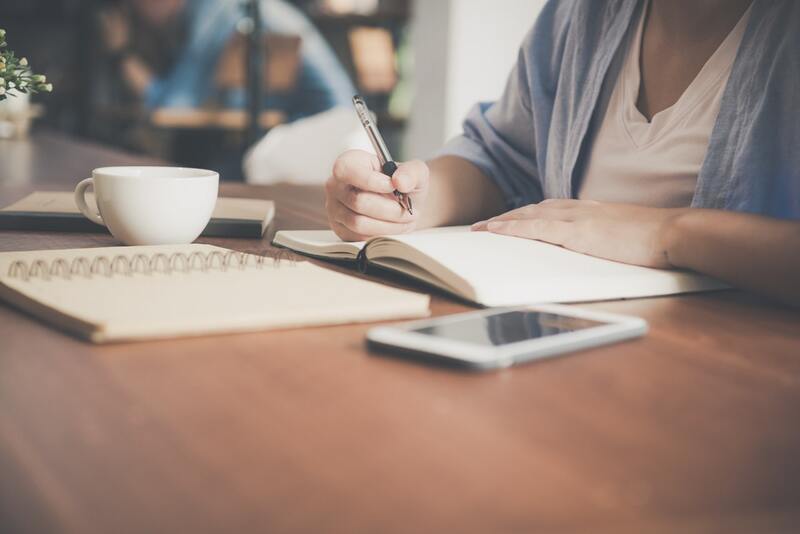 Instead of rattling off where you’ve worked and your position with those places, consider highlighting your main accomplishment at each place you’ve worked. If you’ve had a relatively short working history, then list more than one accomplishment per employer. Discuss your sales numbers and skills you’ve learned. In other words, awe them with stats and details. Do you have experience working with foreclosures, short sells, or persuasive selling? Are you social media savvy? Do you have killer marketing skills? Are you a top negotiator? Don’t be shy, list your strengths here and watch as your colleagues and past clients endorse you for these skills (more on that later). Let prospective clients know about awards that pertain to their needs. If you have any industry-related awards, list them in your profile. Even if the award was given to your firm and is not specific to you, you can still list them here. Also, do you have any real estate-related certifications that can improve your profile? Share it on your profile. Remember that you're not using LinkedIn to get a job, you're using it to get a client— or at least to find a new contact who may eventually turn into a client. All of your experience and accolades can help you build trust with prospective clients. Making connections is tricky, but vital to your promotion strategy on LinkedIn. LinkedIn offers three types, or degrees, of connections. First degree connections are the people who you connect with or who connect with you. Second degree connections are the people who are connected with those in your first degree network, but not with you directly. You can, however, reach out to them, and invite them to connect with your network. When they do this, they become part of your first degree network and then their contacts become part of your second degree connections. Third degree connections are the people who are connected with those in a second degree network. If you want to reach these people, you can't send a network request right away - you instead have to send an InMail message, which is LinkedIn's premium product (cha-ching). InMail starts at $29.99 plus tax per month. The point is that you want to make as many first degree connections as possible because it provides maximum visibility. You see, LinkedIn prefers to show profiles and posts of people who are connected by at least second or third degrees. But the more people you can connect with (and thus build your first degree network), the more people will potentially see your content.